Taylor Swift earned top honors at the 2013 Grammy Awards in Los Angeles, winning artist of the year in the fan-voted event. The country/pop starlet beat out fellow nominees Macklemore & Lewis, Rihanna, Bruno Mars, and Justin Timberlake. 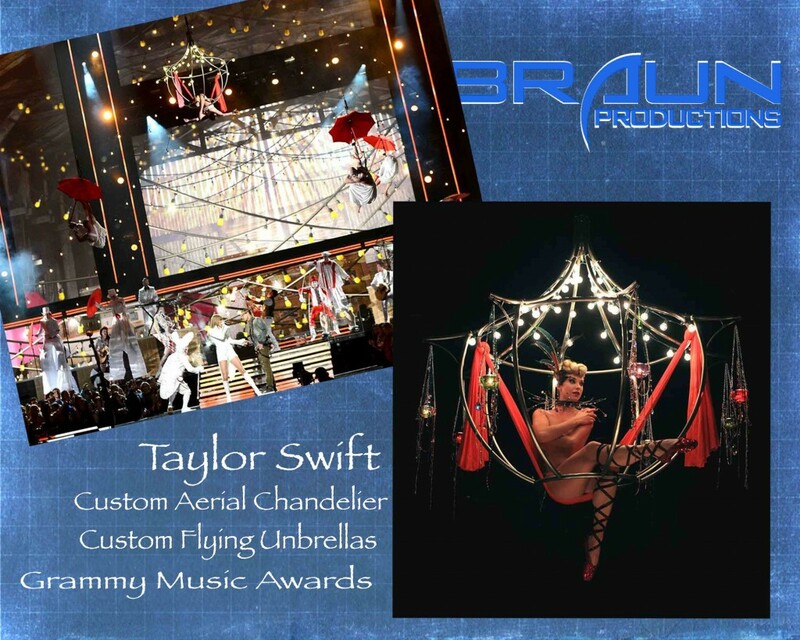 Braun Productions was hired to design and build several custom aerial rigs for Taylor Swift’s live performance for the televised production that was viewed by ten’s of millions around the world. Among the custom Braun Productions creations was the Asian styled illuminated lantern and several special flying aerial umbrellas.